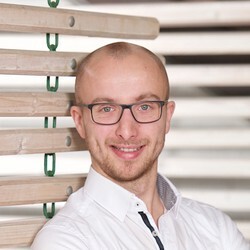 I’m an PhD candidate at the Graduate School of Decisions Sciences, University of Konstanz, an affiliated member of the Communication, Networks and Contention Research Group lead by Prof. Dr. Nils B. Weidmann, a data analyst, and a writer. This site hosts all my writing on political and data science and everything else that interests me. I love exploring productivity, history and how technology is changing and how that changes our lives in the process. I’m particularly interested in using technology and systems design to understand and improve our lives and work. If you enjoy the things you find here, I hope you’ll subscribe to my newsletter. It’s an occasional email with all the interesting stuff I’ve read or dug up somewhere, plus new articles, book notes other things I produce. Nils B. Weidmann, Sabine Otto, Lukas Kawerau (2018). The Use of Positive Words in Political Science Language. PS: Political Science& Politics.